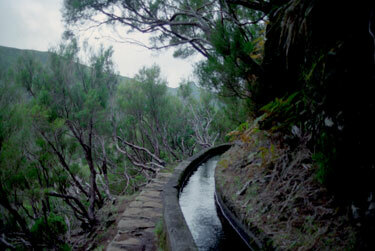 The irrigation-system of Madeira is unique. The 2150 km of levadas transport water from the wet North to the dry South. 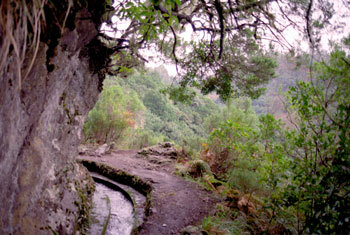 The maintenance-paths along the levadas are ideal for walking. The lavadas will take you to places you would have never reached any other way. 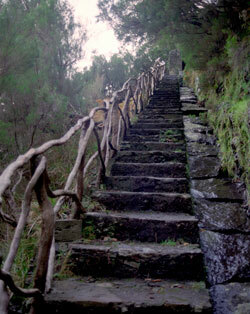 In the valley of Rabaçal there are three levadas. Walk no. 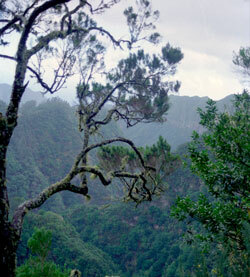 33 in the guide to Madeira (Sunflower books) will take you along all three levadas. 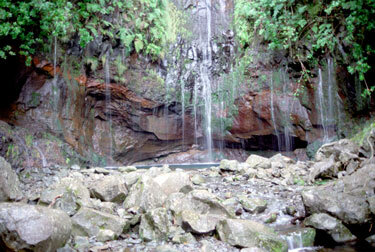 You will also see the Risco waterfall and the 25 Fontes.